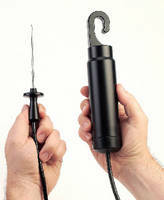 General Purpose RTD Probes offer diverse configurations. 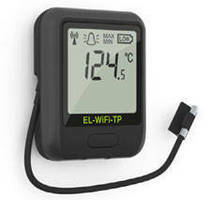 Wireless Temperature Data Loggers feature splashproof design. 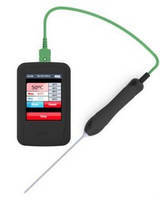 Portable Cold Chain Datalogger allows remote spot checks. Industrial RTDs offer variety of head types. Available in 2, 3, or 4-wire circuit configurations, 910/915 Series probe type industrial RTDs with connection heads feature Ã‚-½ in. 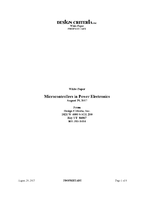 NPT process fitting, RTD PT100 Ω asÃ‚Â standard, and isolation to 500 Vdc. Units can be ordered with fixed probe or spring loaded, depending on application. 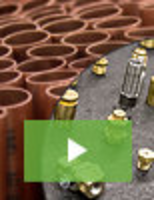 RTDs are suited for industrial boilers, petrochemical, exhaust gas monitoring, and food processing. 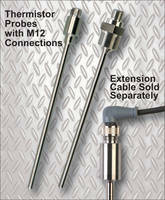 Thermistor Probes are available with M12 connections. 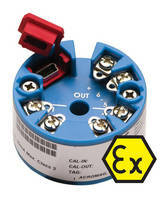 High Temperature Data Loggers operate from -40 to +140°C. 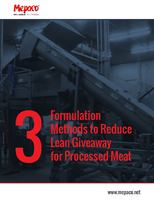 Food Temperature Monitoring System operates via WiFi.